In July 1780, poet prisoner Philip Freneau and thousands of other captives swooned and starved through the stifling, wave washed days on the British hospital and prison ships rocking in the Wallabout Bay on the East River in Brooklyn, New York. In his Notes Geographical and Historical, relating to the Town of Brooklyn, in Kings County on Long Island, Gabriel Furman traced the name Wallabout to Dutch origins meaning “Bay of the Walloons” after the first French speaking settlers of the area. By the time of the Revolutionary War, Wallabout Bay had become infamous for its prison ships and thousands of dead patriots buried along its shores. Historians estimate that between 1775 and 1783, about 200,000 colonists fought to win their freedom from British rule. Over 6,800 colonials died in battle and an additional 10,000 died from wounds or disease. The British took more than 18,200 prisoners of war and confined most of them in New City along with an estimated 1,500 civilian prisoners. Until 1781, the British deemed the prisoners of war terrorists and treated them as such. As the fortunes of war and world opinion combined to make them gradually treat prisoners more humanely, their change of heart came too late for thousands of captives on British prison ships. After the British won the battle of Long Island in August 1776 and captured New York City, they decided to designate New York City as their nerve center of military operations in North America. They had to quickly decide what to do with the thousands of prisoners they had captured. The prisons in New York City filled up quickly and the prisoner supply continued to outstrip the available prisons as the British seized seamen from privateers and American ships and sought places to imprison them. The British conceived the idea of turning aging ships into maritime prison ships, stripping them bare and allowing them to float in backwater bays and harbors. They established these floating maritime prisons in port cities including Charleston, South Carolina, Providence, Rhode Island, and in the Wallabout Bay on the East River in Brooklyn, New York. According to Benson Lossing in the Pictorial Field Book of the Revolution, , in 1778, the British established at least 16 floating prison ships in Wallabout Bay where they remained for most of the Revolutionary War. The Jersey, Whitby, Good Hope, Scorpion, Prince of Wales, Falmouth, Hunter, Stromboli and six vessels of lesser repute were lined up in succession to receive an endless stream of captives. Their British captors would crowd more than a thousand prisoners at a time in the steaming holds of the prison ships anchored in the Wallabout. The prisoners never had enough to eat and they could barely eat the available food. Survivors told stories of prisoners hungry enough to eat their own shoes and clothes. In Forgotten Patriots: the Untold Story of American Patriots During the Revolutionary war, Professor Edwin G. Burrows related some of the prisoner’s stories about food. One prisoner said that he had received only a hard biscuit full of worms and oil, a dab of oatmeal, or an ounce of rotted meat for a meal. One prisoner, Ebenezer Fox, said that prisoners learned to pound their biscuits sharply on the ship’s deck to shake off the worms. The water aboard the prison ships tasted brackish and smelled foul. Slop buckets overflowed onto the decks, making them slippery with their contents. Lice infested the blankets and clothing of the prisoners. Typhus, smallpox, and scurvy swept through the crowds of miserable prisoners, winnowing them like a scythe through ripe wheat fields. Wagons piled high with corpses jounced through the cobblestone streets carrying them to trenches on the outskirts of Brooklyn or to burial on Wallabout beaches. Prisoners received no medical attention, but much abuse and neglect. The British offered their captives some choices. 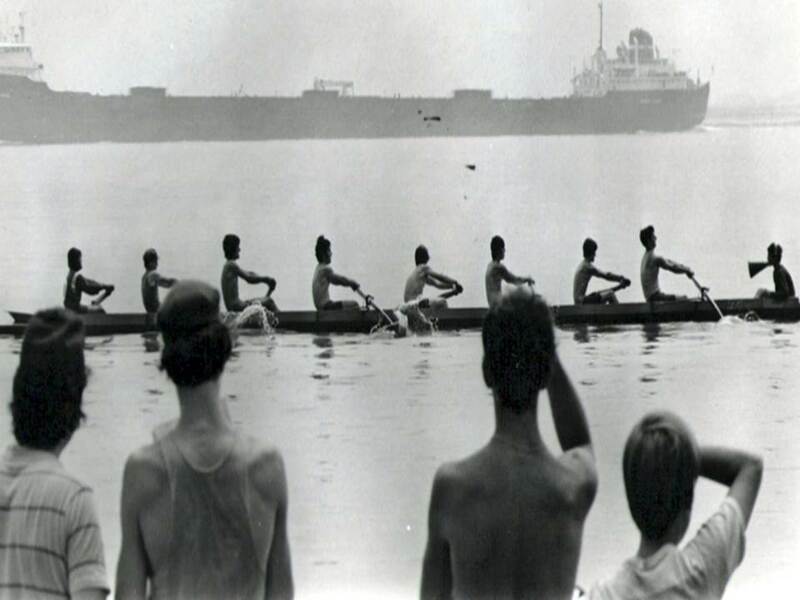 They gave the prisoners the option of joining the King’s Navy. An unknown number did so, but it is unlikely the number was very high. In his Narrative of Colonel Ethan Allen’s Captivity as Written by Himself, one of the most popular books before the Civil War, Colonel Ethan Allen wrote. "Many hundreds, I am confident, submitted to death, rather than to enlist in the British service." Prisoner exchanges were common and officers were exchanged for officers, seamen for seamen, and soldiers for soldiers. Prisoners possessing money could buy their way off ship.The captives suffered so intensely that some attempted to escape, a few successfully. In the waning months of 1779, prisoners set fire to two of the prison ships, vowing to win liberty or death. For most of the prisoners their only hope was death or the end of the war. Death often won for the death rate on the prison ships averaged about 70 percent, much higher than the 35 percent of Andersonville prison in the future Civil War. In 1780, poet Philip Freneau sailed as a private passenger aboard the privateer Aurora as it made its way down the Delaware River bound for St. Eustatia in the western Caribbean islands. A British ship, the Iris, captured the Aurora and took it to New York harbor and the prison ships. A British officer insisted that Philip Freneau be included in the prisoners because the captain of the Aurora had listed him as a gunner instead of a private passenger. On June 1, 1780, the British transferred Philip from the Iris to the prison ship Scorpion. The British released Philip Freneau on July 12, 1780, and he returned to his home in Elizabeth Town, New Jersey. Philip Freneau went on to become a well known poet and literary figure as well as forging a career as a sea captain and in the politics of the early American Republic. Free Black Abolitionist James Forten found himself a prisoner on the H.M.S. Jersey, one of the most notorious of the British prison ships. The British converted the Jersey, a decommissioned warship to a prison ship in the winter of 1779-1780, stripping her of everything but a flagstaff and a derrick to haul supplies. 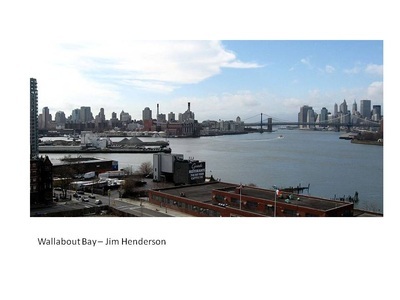 The Jersey floated rudderless in Wallabout Bay about 100 yards offshore of what later became the Brooklyn Navy yard. More than 1,100prisoners crowded between the Jersey decks and dozens died every evening on the Jersey from dysentery, typhoid, yellow fever, food poisoning, starvation, and torture. Born in Philadelphia on September 2, 1766, James Forten joined the Continental Navy when he was 15 and in 1781, he set sail on a privateer called the Royal Louis. The British ship Amphion captured the Royal Louis and the British imprisoned James and the rest of his shipmates on the Jersey. The British Captain John Bazely didn’t sell James into slavery, perhaps because he impressed them with his knowledge and skill. Captain Bazely offered to send James to England to be educated with his own son, but James refused to be a traitor to his country. Then Captain Bazely arranged for James to be traded for a British prisoner the same as the white prisoners on the Jersey. Against overwhelming odds, James Forten survived seven months aboard the Jersey and returned to Philadelphia in 1786. Apprenticed to sail maker Robert Bridges, his father’s former employer and a family friend, James learned the sail making trade. When Robert Bridges retired in 1798, James bought the sail loft where he had worked and by 1810, his diligent, skillful work made it one of the most successful sail lofts in Philadelphia. He enjoyed a long lasting career as a sail maker and a renowned Abolitionist. When the Revolutionary war ended in 1783, only 1,400 survivors remained aboard the prison ships and all of them were ill. Between 11,500 and 12,500 men and women died on the prison ships in New York Harbor, more Americans than had died in all Revolutionary War battles. The British released the survivors and abandoned the prison ships. The fledgling United States Navy moved into what became the Brooklyn Navy Yard on Wallabout Bay and began expanding the yard. Navy ships dislodged the remains of thousands of prisoners of war as they dredged the muddy bottom of the bay to build new dry docks. Local women collected remains when they became exposed or washed ashore. Decades later, the tides and the weather along the Long Island shore constantly exposed the bleached bones of the dead and the low tide regularly revealed the rotting timbers of the Jersey. A story in the Brooklyn Daily Eagle of July 7, 1895, reported that eventually vandals set fire to the hulks of the remaining prison ships and they burned to the waterline, except for the Jersey. She sank in position and her hulk was used to form the outer end of a wharf. The bodies of the prisoners continued to wash ashore around the Wallabout and in 1803 Samuel L. Mitchell petitioned Congress for the Tammany Society of New York, asking for funds for a tomb for the Revolutionary War Martyrs. John Jackson Esq. donated land on the southwestern corner of the Navy Yard near Front Street and Hudson Avenue in Brooklyn. On April 13, 1808, the cornerstone of a vault to hold the remains of a few of the prisoners was laid. On May 26, 1808, New York civic societies and private citizens- 15,000 strong- marched to the completed vault and witnessed the dedication of thirteen coffins filled with remains from the shore of the Wallabout. A wooden fence with thirteen posts and bars painted with the names of the original thirteen states was erected, but eventually time and the weather eroded it away. In 1868, noted landscape architects Frederick Law Olmstead and Calvert Vaux designed the old Fort Putnam fortress and thirty acres of hillside into elegant public space, renamed Fort Greene Park after General Nathanael Greene. 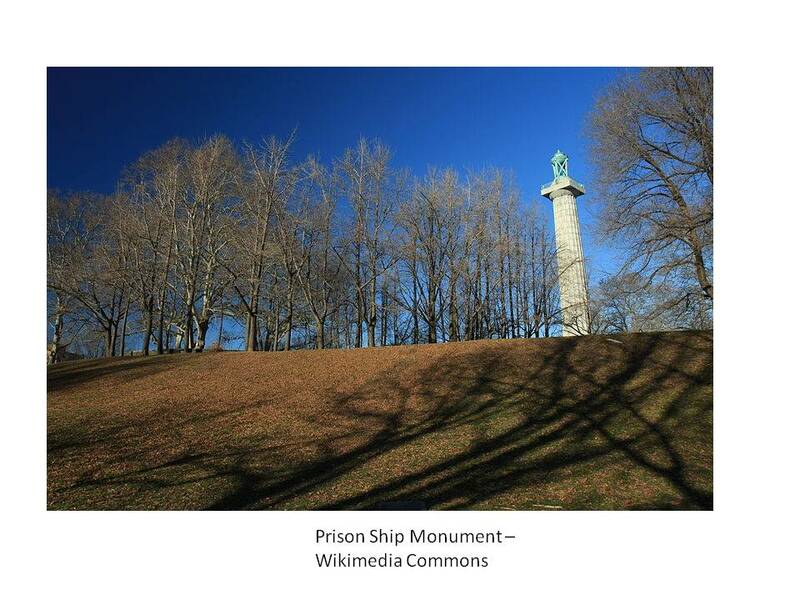 In 1873, the remains of the prisoners were transferred from the old Jackson estate to a crypt under the stairway of the planned Prison Ship Martyrs Monument at Fort Greene Park, the original site of Fort Putnam during the Revolutionary War. The Brooklyn Eagle of June 19, 1900 reported that a committee had been appointed to build another memorial to replace the original one and in 1908, the Society of Old Brooklynites built a new monument. The monument at Fort Greene Park is currently being refurbished, with the original eagles and plaque that adorned it being reinstalled. The British Crown had always maintained that it considered captured Americans not soldiers, but “rebels,” and that recognizing them as prisoners of war would amount to recognizing American independence. In turn, Americans argued that by not awarding prisoner of war status to captive Americans, the British initiated and perhaps even encouraged prison abuses. The British prison ships in New York Harbor during the American Revolutionary War provided compelling motivation for the groundbreaking Treaty between the United States and Prussia in 1785. The Treaty provided a first step toward the international conventions now protecting prisoners of war and ascertaining that they are treated with decency and humanity. Philip Freneau concluded his poem The British Prison Ship, with a challenge to future generations to remember and honor the patriots on the British prison ships. Edwin G. Burrows. Forgotten Patriots: the Untold Story of American Prisoners During the Revolutionary War. Basic Books, 2008. Eugene L. Armbruster. The Wallabout Prison Ships: 1776-1783. New York, 1920. Joseph Lee Boyle (editor); Their Distress is Almost Intolerable: The Elias Boudinot Letterbook, 1777-1778. Heritage Books, 2002. Larry Lowenthal. Hell on the East River: British Prison Ships in the American Revolution. Fleischmanns, New York. Purple Mountain Press. 2009. Mary Bowden. Philip Freneau. Twayne Publishers, 1976. Eric Peter Nash. New York’s 50 Best Secret Architectural Treasures. City & Company, 1996. A History of the City of Brooklyn. Stephen M. Ostrander, Alexander Black. The Brooklyn Eagle, Brooklyn, New York.